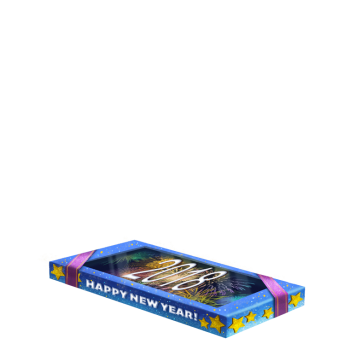 The 2018 New Year's Base is a Limited Edition base. Happy New Year! This party-powered base celebrates 2018 all year long! During all of 2018, while this base is equipped, mice have a chance to drop 2018 Charms when caught. The charm-generating powers of this base will cease to work on January 1, 2019. The 2018 New Year's Base is a Limited Edition base that was only available during the Great Winter Hunt 2017 event. It could be purchased from the Great Winter Hunt 2017 Trapsmith in exchange for 200,000 gold and 1 New Year's Nougat. Mice captured with this base will occasionally drop a 2018 Charm. The charm-generating powers of this base will cease to work on January 1, 2019. 28 December 2017: The 2018 New Year's Base was introduced as part of the New Year Celebration of the Great Winter Hunt 2017. This page was last edited on 14 January 2019, at 13:16.